Spring Bomber Jackets For Under $30 Only! If there is one must have this spring that we can’t ignore it’s the bomber jackets, seen on Gigi & Bella Hadid, Cara Delevingne, Kendall & Kylie etc. It makes every outfit look either casual or elegant within an instant. 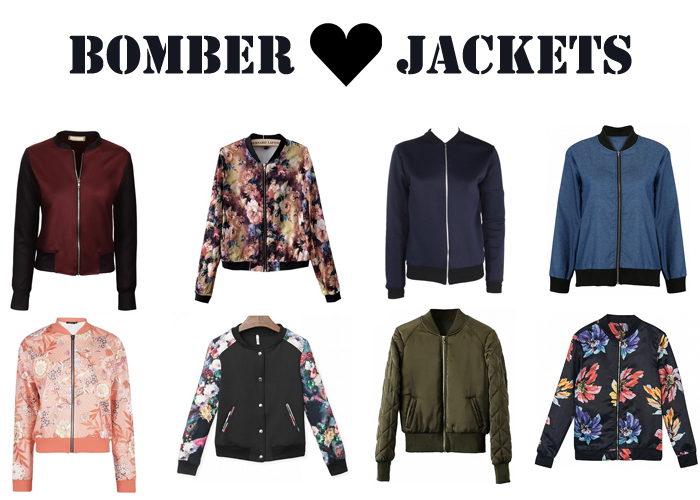 And bomber jackets are not just bomber jackets, there are a lot (A LOT) of different types and we don’t really want those thick winter jackets anymore – it’s spring finally! Simply style them with a pair of sneakers, distressed jeans and a basic white tee!